For some people, the worst part of the day is a blaring alarm clock in the morning which startles them out of their sleep. A wake-up light is a better way to wake up making it a smoother experience. It's especially the case if you don’t like loud alarms or in winter you struggle to wake when it’s still dark outside. Using a light that slowly fills the room can give you a better start to your day. In this review we’ll be looking at the best wake up light alarm clocks made by the top brands in the market, to make your mornings that little bit more bearable. 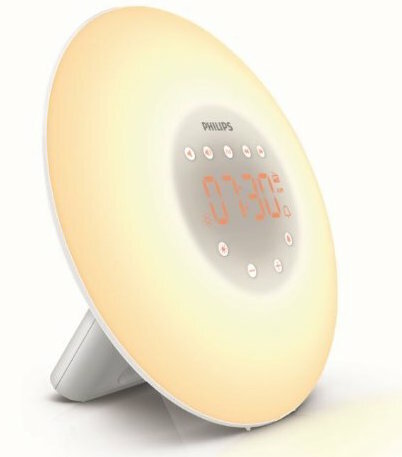 Philips has been designing and manufacturing wake up lights for years which has led to them having a broad range of products with the HF3520 being the best. This wake-up light effectively simulates a natural sunrise but also has numerous additional features that improve this experience dramatically. You simply set your desired wake up time, and the 30 minutes before your chosen time the light will gradually begin to come on and by the end of the 30 minutes you will be naturally awake. The brightness is adjustable to the level that best suits you, and there is a backup alarm which allows you to choose from 5 natural wake-up sounds or the FM radio. There is also a sunset simulation that helps you to fall asleep and even a snooze function which gives you an extra nine minutes of sleep. There is a reading light to allow you to read while winding down. The light sensitivity is also fully customisable with 20 levels of intensity to choose from. Not only does this wake up light alarm have all these fantastic features but it's also great to look at and is well designed. 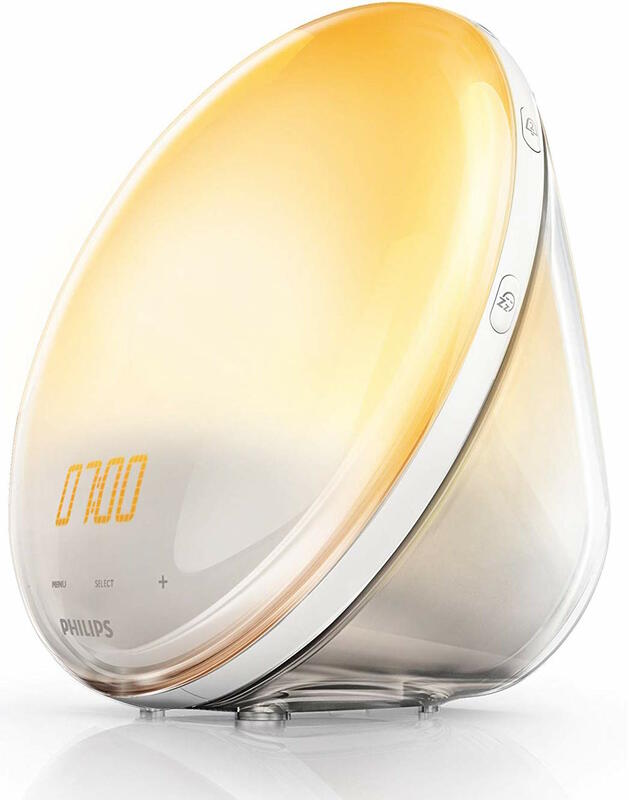 There are two leaders within the wake-up light alarm clock industry with one being Philips and the other being Lumie. The Active 250 is their leading product that gradually wakes you up using a brightening light which leaves you feeling more alert for the day. Not only does it have a sunrise setting that begins to wake you up before your chosen time, but there is also a sunset mode that mimics a natural sunset using a fading light that triggers your body to begin to release the sleep hormone melatonin. With the sunrise feature, you have a choice of duration of 15, 20, 30, 45, 60 or 90 minutes and also a selection of the intensity of the final light so you can create your sunrise. Also, you can also add audio features which include a choice of five audio sounds or the built-in FM radio. The additional features include a dimmable bedside light, snooze and optional alarm beep. The unit also has a power failure back in case of a power cut so your alarm will still be triggered when the power is switched back on. The wake-up light comes with a two-year warranty to give you additional cover over the operation of the product. The Philips HF3505 is the most affordable model in the Philips range but still has the main features that the pricier models have. You still select your desired wake up time, and you’ll begin to be woken up 30 minutes before this time. You have the choice of two natural sounds, and your selected sound will be activated at your chosen wake up time. The volume will gradually rise until you are fully awake, but you also have the choice of using the in-built FM radio instead. The personalised light settings allow you to customise it to your personal preferences. There are ten light intensities to choose from up to as high as 200 Lux. There is also a snooze button that is activated if you tap anywhere on the unit which gives you an extra nine minutes of sleep. The clock is easy to use, and the display is clear, and the unit looks aesthetically pleasing and incredibly well designed which further justifies its selling price. As standard, the clock comes with a 2-year warranty protecting you against any faults that may develop. 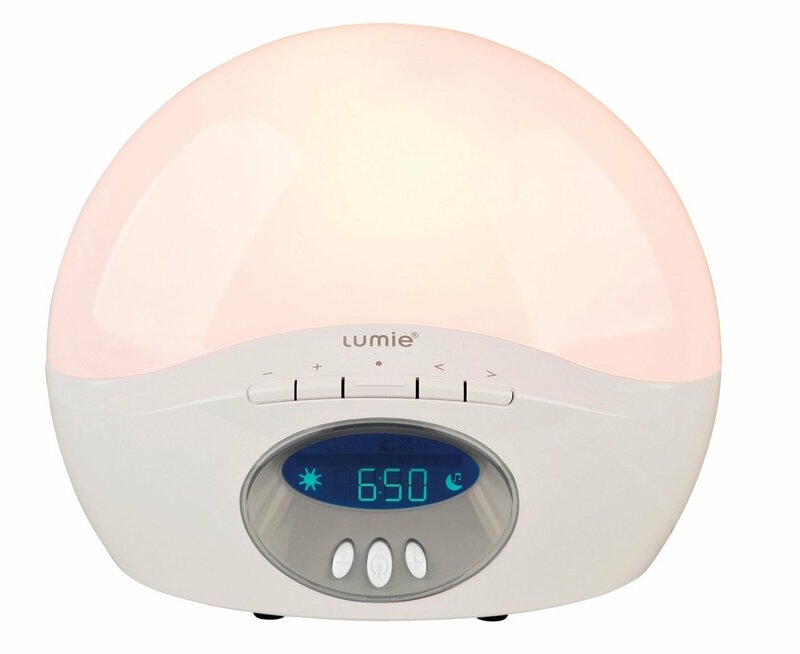 It’s no surprise to see a Lumie wake-up light, and it's their starter 30 model that has made it into our list. The inbuilt body clock alarm gives you a natural wake up experience leaving you feeling refreshed and energised. In addition to the sunrise feature, there is also a sunset feature which allows you to comfortably wind down for sleep at the end of the day. The clock has a sunrise duration of thirty minutes and starts with a soft glow which then slowly turns into full brightness. The clock also features an optional alarm beep just in case you sleep through the sunrise effect, a bedside light that is also dimming, a snooze button and a power failure back up in the event the there is a power cut your existing alarms and time will still be maintained until power is restored. A 3-year warranty is included with the clock for added protection. At its low price point it the best introduction to the benefits and experience of using a wake-up light therapy for waking and sleeping. 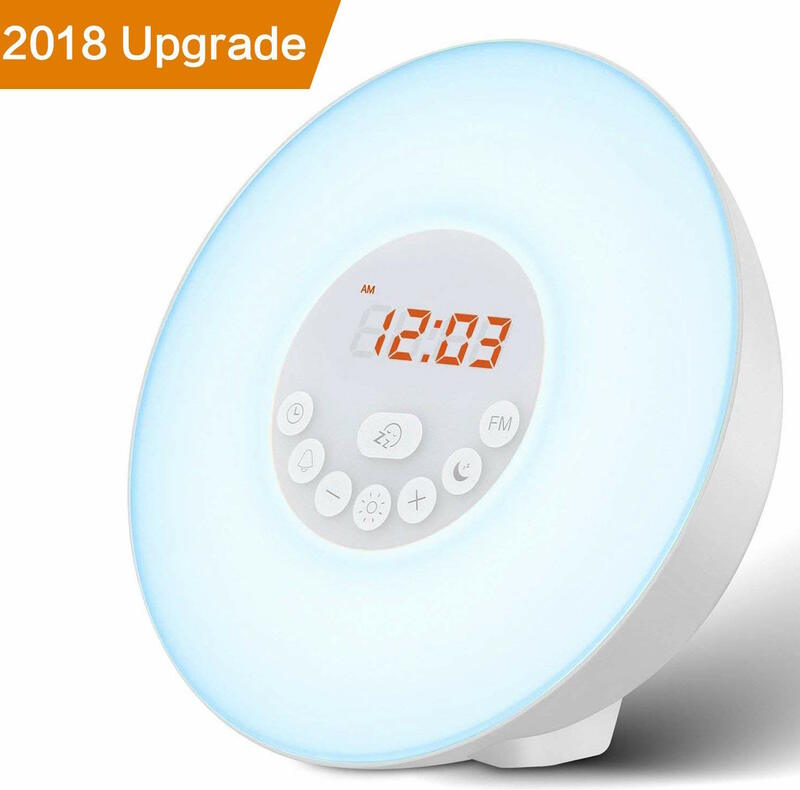 If you’re looking for a more affordable alternative that doesn’t have the reputable name brand but still has many of the leading features, then the Levin wake up light alarm clock is the best option for you. The clock has both sunrise and sunset simulation settings to ensure that you not only gradually wake in the morning but also gradually wind down for sleep at night. The clock also has a clear time display and 11 levels of brightness that you can choose to customise it to your own needs. The LED lamp also has six different colours that you can select for the sunrise/sunset simulation for a better experience. Also, there are also seven different alarm sounds or the choice of using the FM radio. There is also an inbuilt snooze button, and the clock is covered by a 12 month 100% satisfaction warranty. For an entry-level product it does the job, but when compared to the better models you can tell the difference in overall quality of the features. What is a wake-up light alarm clock? With a wake up light alarm clock, you still set the wake-up time as you usually would because then it still has an audible regular alarm sound built in. How this differs is that around 30 minutes before your chosen time the device slowly begins to brighten to mimic the natural feeling of a sunrise. The goal of this is to naturally wake you using the light instead of being woken up by the loud buzzer alarm. Waking up this way is a more gradual process that creates a healthier wake-up environment. If you don’t wake then the soft alarm will still trigger so there’s no danger of you missing your wake up time. The main problem that the human body encounters when you try to wake up in a dark environment is that you feel as though you shouldn’t be awake at that time. This is because your body has the feeling that it’s still evening or night time, which causes your brain not fully to wake up and this can lead to your body to continue to produce Melatonin and other sleep hormones instead of switching to more active hormones such as Serotonin. This can be fixed with a wake-up light that simulates the effect of a natural sunrise which tricks your body in acting as it would during a sunrise which triggers the release of active hormones.When you wake up a sunny looking room, this will make it easier to get out of bed. Waking up early can be difficult for most people, and it can be hard to bounce out of bed with bundles of energy. If you wake up using a wake-up light, you will feel more energetic because your body will be more ready because it’s mostly already been up for around 30 minutes when the wake-up light first turned on. When you use a traditional alarm clock, you’ll often hit the snooze button a few times because you’re being wakened up from a deep sleep which can be startling. Your body should never go straight from a deep sleep to an awake state so quickly. A wake-up light slowly brings you out of deep sleep and into a lighter sleep before waking you up which means that you’ll find that you’ll get out of bed quickly and easily. Loud alarm clocks are annoying at the best of times and can make anybody grumpy to hear them multiple times in one morning. Wake up light alarm clock uses a natural, soft light tone to wake you up gradually. Also, they don’t use traditional alarm clock sounds because you’re in a lighter sleep state so a softer sound can be used to wake you up such as ocean waves or other calmer sounds. This makes you wake up in a better mood ready to attack the day ahead. 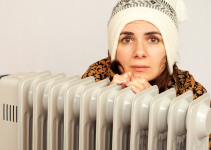 The seasonal affective disorder is a disorder that affects people when the seasons change making it difficult for people to wake healthily at the right time. This can lead to your internal body clock being affected which can lead to depression and other symptoms. The best wake up light alarm clocks can help with this problem by giving you a hit of sunshine each morning before you wake. They can also improve other conditions such as anxiety which can be made worse by a loud alarm clock. Waking up gradually will always be better for your health than a blaring sound. Melatonin is a hormone that is released at night that makes you feel tired and ready for bed. Wake up lights help your body to gradually halt the release of this hormone when it's time to wake up which will leave you feeling more refreshed in the morning when its time to wake up. The maximum brightness of the wake-up light is significant to consider because the brighter, the lighter, the stronger it is at waking you up from the deepest of sleep. It's the equivalent to the loudness of an alarm clock. Standard light bulbs vary in brightness as do the light sources built into wake up alarm clocks. 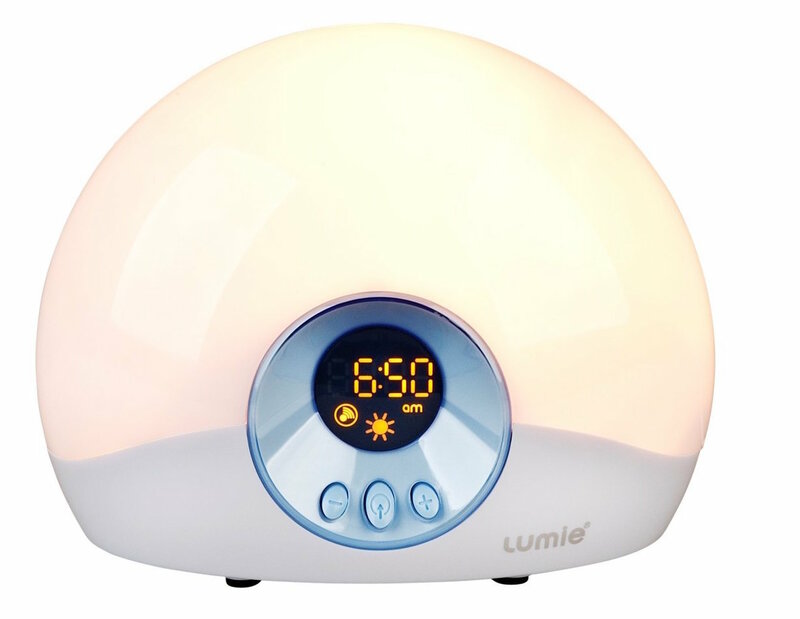 Sunrise alarm clocks use a different measurement and use the unit of “lux” what measures the intensity of the light. The majority of wake up clocks range between 100-400 on the lux scale, however if you decide to choose a clock that specialises in treating disorders such as seasonal affective disorder than they can go significantly higher than this to ensure that you wake up in a positive mood. Electrical items will also have a higher chance of developing a fault in comparison to non-electrical items regardless of the brand. As a result, it’s vital to ensure that your chosen wake up light clock is supplied with a warranty, so in the rare case a defect does develop then the manufacturer will be able to offer either free repair or replacement. Warranty periods vary from brand to brand so can range anywhere from 3 months to lifetime. Colour temperature refers to the number of colours available for you to choose from when setting your alarm. Basic models will usually offer a single colour choice which is usually white/yellow colour. Higher end models will often have a multi-colour offering which better mimics a real sunrise to give you a more natural experience. It’s recommended that you combine your sunrise alarm with a traditional alarm because you may need this as a back-up in case the light doesn’t wake you up. Most wake up lights also has an alarm tone option. Basic models will have the classic beeping alarm sound. However, better models will have more appropriate alarm sounds which are calmer such as the sound of birds chirping or other calming sounds. This will continue the process of gradually waking up instead of a loud alarm sound. Most wake up light alarm clocks will have a fixed sunrise length of around 30 minutes as it builds up to a final brightness level. If you want to customise the length of your sunrise, then you’ll need to buy a model that allows you to do this. Higher quality models will allow you to control the length of your sunrise which is excellent if you know that your body needs a longer length of time to wake up in the morning gradually. The light source that most sunrise clocks use is LED’s because not only do they consume low amounts of energy but they are also long lasting, generate low levels of heat and also come in multiple colours which makes it easy to create the different shades of a sunset or sunrise. If the type of light source is essential to you and you’d like an alternative to LED’s, then there are also units that use replaceable halogen bulbs. The best wake up alarm clocks also has sunset features which allow you to have a gradual sunset mode at night which helps your body wind down and get ready to sleep. This also creates signals for the body to release Melatonin which is a sleep hormone. So instead of increasing brightness like it would in the morning. Instead, it starts bright and gradually dims to complete darkness to mimic an actual sunset. 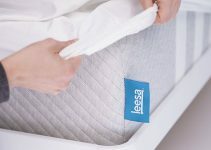 This feature is ideal for people who find it difficult to fall asleep and find it better to ease into their sleep rather than just switching off the light and jumping into bed. As you’d expect with all electrical items, there will be different price ranges to suit different budgets. We’ve broken down what you should expect for your money. Basic wake up lights will be in this price range and will do the job but won’t have the added extras such as soothing alarm tones or sunset feature. Additionally, they will often be made by unknown brands so there may be fewer reviews. Wake up lights that fall into this price bracket will be often made by recognisable brands and will usually have the main features that you need but not the most advanced features that take your sleep experience to the next level. High-quality wake-up lights will fall into this price range and will almost exclusively be made by the top brands while also having all the features you could need such as reading lights, sunset mode and a large selection of natural wake up sounds. The Levin doesn’t simulate sunrises and sunsets as well as the Lumie and Philips models, but it’s still one of the better budget models. If you’re serious about improving the quality of your sleep, then we’d recommend the Philips and Lumie models as the best wake up light alarm clocks available on the market.